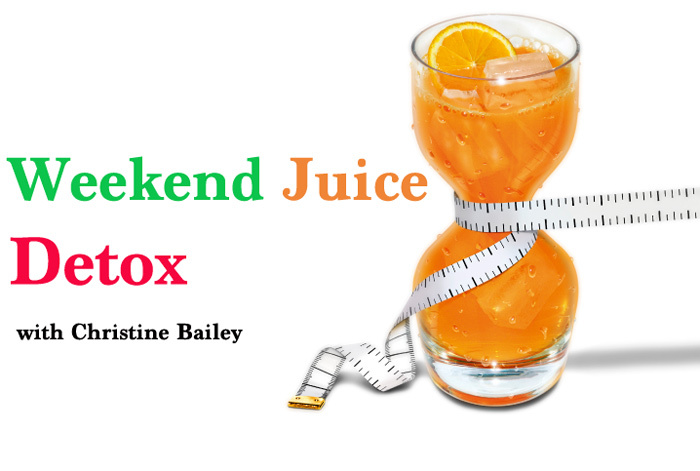 Spring clean your body with Christine Bailey’s weekend juice detox! Do you need to kickstart your weight loss in time for summer? Do you feel sluggish and tired? If so, try Christine Bailey’s Juice Blitz detox this weekend! ‘Designed to motivate you to start losing weight with the minimum effort, my two day detox programme is packed with slimming, nourishing juices supercharged to clear out your system, improve digestion and aid weight loss. Below, I’ve included all the information you need to map out your juice weekend so that it’s blissfully stress-free. There’s a two day planner, with suggested juices and meals for each day. All the recipes can be found in my Juice Diet book, and I’ve included a deliciously healthy Pineapple Crush recipe below to get you started. If a juice doesn’t take your fancy, feel free to swap it for something similar – this detox is about feeling great after all! 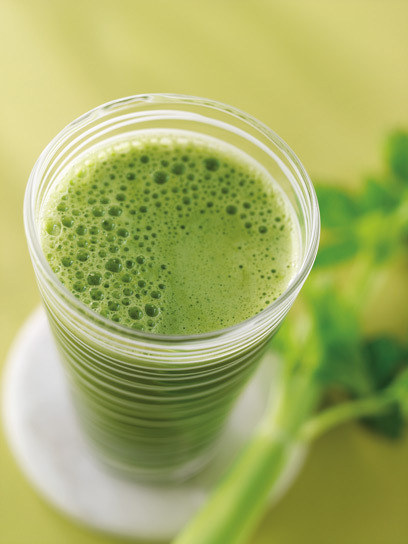 Whether you follow my two-day plan or choose your own juices for your blitz, feel assured that at the end of the two days you’ll be well on the path to a noticeably slimmer, healthier, more vibrant you. This programme is a highly effective kickstart to a weight-loss plan, but it’s not intended as a long-term diet. To get the best results, read these preparation guidelines carefully and follow them as closely as you can. so that you have a day to prepare and two days to blitz. On your preparation day avoid all animal protein and eat only light meals that include plenty of vegetables, fruit, fish and eggs. Steer completely clear of cream and cheese, but its okay to have a little low-fat, natural yogurt, if you like. Take special care to drink at least 6 glasses (1.5 litres/52fl oz) plain, filtered water and start cutting down on your coffee and tea consumption. At bedtime, take 1 tbsp flaxseed in a large glass of water to give your systems of elimination a boost. To make your weekend juice detox as easy as possibly, Write down all the ingredients you’ll need so you can have them all at the ready. It’s important to ensure that you include at least one green juice daily to maximize your nutritional intake. I recommend that on both days of the detox you supplement your juices and snacks with a multivitamin and mineral formula, an antioxidant or liver-support supplement and an essential-fat (fish-oil or flaxseed-oil) product. Buy these in advance and choose the best-quality supplements you can afford. Your local health-food store should be able to advise you. After the detox, keep the first day light and simple, then reintroduce excluded foods (such as meat and dairy) slowly. Below is a menu for your juice diet on Saturday and Sunday. Try to follow it as closely as possible to get the most from your juice detox! Dinner Beet and Orange Crush juice and a bowl of Bean and Vegetable Soup. To make the soup, chop into chunks ½ red onion, 1 carrot, 1 celery stick, ½ sweet potato, ½ red pepper and 1 tomato. In a saucepan, sauté the onion in ½ tsp of olive oil, then ad all the other ingredients. Pour in 300ml/10½fl oz/scant 1¼ cup low-salt vegetable stock, bring to the boil, then reduce the heat to low, cover with a lid and simmer for 10-15 minutes until the vegetables are tender. On the Monday following your weekend juice detox, keep your meals light and somple. Thereafter, reintroduce excluded foods (such as meat and dairy) slowly so that you don’t overload your system. Perfect for if you’re feeling a bit sluggish. Fennel contains essential oils such as anethole, which are mildly diuretic and help the body get rid of excess fluid to make you feel instantly lighter. 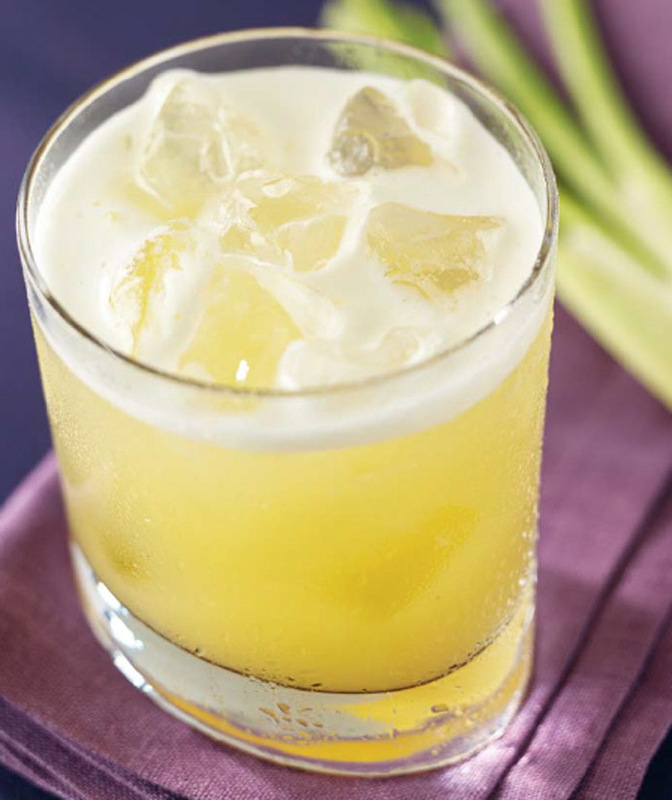 Pineapple, aloevera and ginger are well-known digestive aids. Juice all the ingredients in a juicer, then blend together with the aloe vera. Serve over ice. Pineapple contains the healing enzyme bromelain, which helps break down protein, reduce inflammation and aid digestion. Pineapples are rich in beta-carotene and vitamin C, two of the many antioxidants that protect the body from free-radical damage, plus vitamin B1, which we need for energy production. 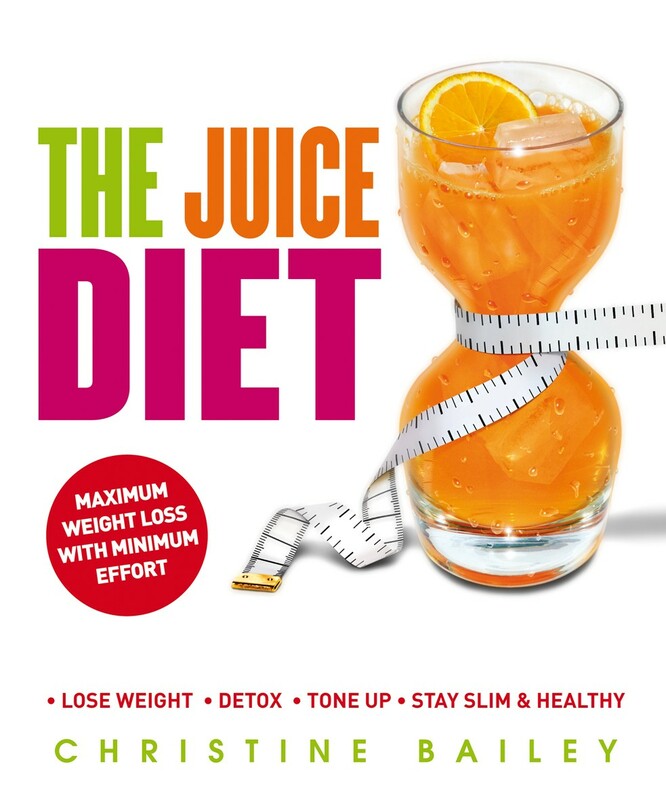 For more advise and recipes on juicing and detoxes, take a look at Christine’s The Juice Diet. 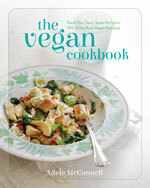 With more than 100 recipes, this book will enable to your to lose weight and feel great as you do it! Order the book, with free postage in the UK, now! https://nourishbooks.com/wp-content/uploads/2014/04/weekend-juice-blitz.jpg 300 340 Victoria Lagodinsky https://nourishbooks.com/wp-content/uploads/2018/04/NourishLogo340x156-300x138-300x138.png Victoria Lagodinsky2014-03-31 14:01:092015-09-17 16:32:40Spring clean your body with the weekend juice detox! 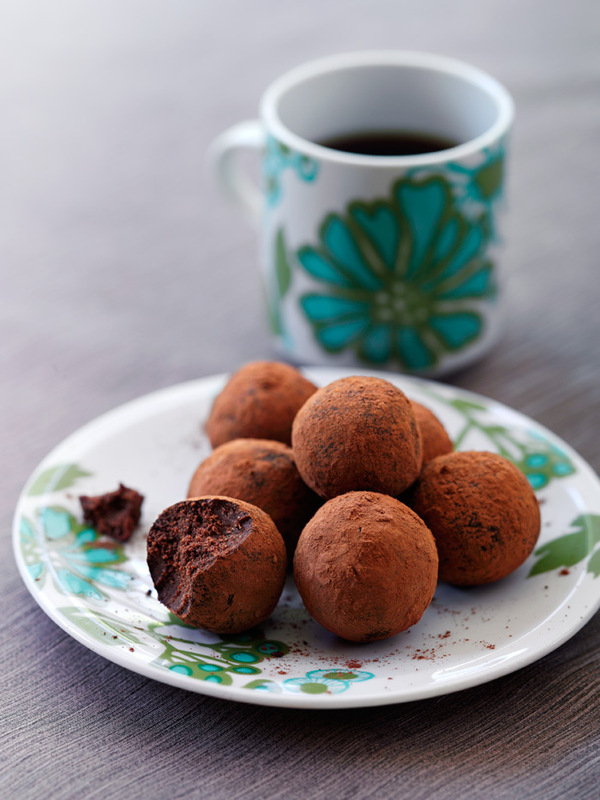 If you need a last-minute gift for Mother’s Day these quick and easy chocolate truffles will impress. A no-cook recipe, they’re perfect to make in the morning for delivery in the afternoon! 1. Finely crush the digestive biscuits. Melt together the dark chocolate, cocoa solids, golden syrup, cocoa powder and butter. Then add about 2 tbsp of your favourite liqueur. 2. Mix in the biscuits and shape into balls. Roll in a little cocoa powder, then chill to set. Deliciously simple! Looking for the perfect treat for mum this Mother’s Day? 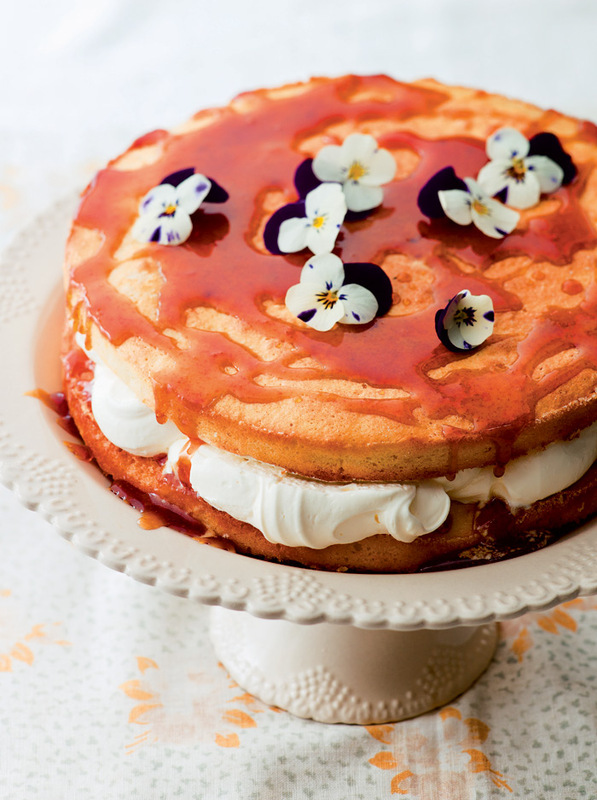 Try Valentina Harris’ Lemon and Elderflower cake. The delicate fragrance of elderflower is amazing when combined with lemon, and in this lovely teatime cake both flavour and scent come together beautifully. Preheat the oven to 180ºC/350ºF/Gas 4. Line 2 x 20cm/8in shallow cake tins with greaseproof paper, then grease the paper with butter and sprinkle with the 1 tablespoon sugar. To make the cake, separate the eggs into 2 bowls, then cover and chill the egg whites. Whisk the yolks until fluffy, then sprinkle in the sugar, one spoonful at a time, and continue whisking until the mixture is thick, light and pale. Gradually fold in the flour using a metal spoon, alternating with the lemon juice and zest, until mixed together. Whisk the egg whites until soft peaks form, then gently fold into the flour mixture to make a batter. Divide the mixture between the prepared tins and bake for 20–25 minutes, or until golden and firm when lightly pressed with your finger. Leave to cool in the tins for 5 minutes, then turn the cakes out onto a wire rack, remove the paper and leave to cool completely. Meanwhile, make the glaze. Put the elderflower cordial, lemon zest and sugar in a small pan over a low heat and heat through, stirring until the sugar dissolves. Increase the heat slightly and boil for 6 minutes, or until syrupy. Drop in the elderflower florets and remove from the heat. Leave to cool slightly, then strain through a fine sieve into a bowl. To make the filling, whip the cream in a bowl until thick, then fold in the elderflower cordial. Spread the cream over one cake and top with the second cake. Lightly prick the top with a cocktail stick in several places, then spoon the warm glaze over and decorate with the flowers. Renowned cookery writer Valentina Harris has an extraordinary family history to tell: political activism, scandalous love and exile. Against a backdrop of different cultures and cuisines, Valentina narrates these beautiful and powerful stories along with her discovery of pure, intense happiness from cooking. 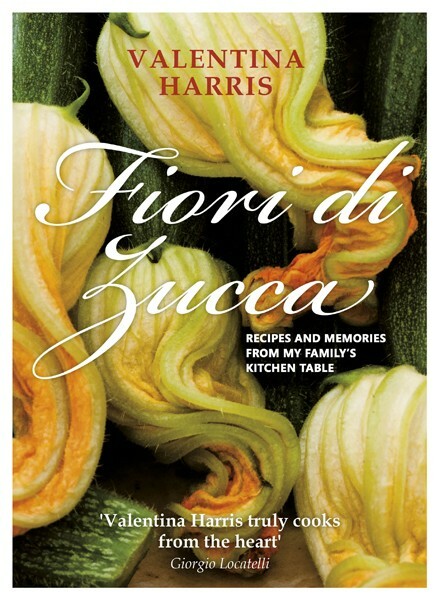 Each of her recipes tells a tale – you’ll find the Chinese Tea-Smoked Duck, her grandmother’s legacy of a life in Peking, the Seafood Risotto that Beppino, their cook, taught her in Italy and the Nougat Semifreddo that she used to eat with her father on the via Veneto in Rome. 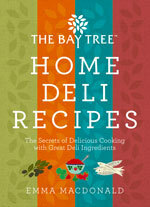 Here are 85 recipes that have been handed down through the generations or inspired by family stories and experiences. This is the culmination of Valentina’s career and the book of her heart and soul. 1. Preheat the oven to 160°C/315°F/Gas 2½ and line a baking tray with baking parchment. Put the oats in a large bowl and add the seed and grain mixture, almonds and pecan nuts. 2. Put the oil in a small bowl and add the sugar and cinnamon. Whisk together, then drizzle over the oat mixture. Stir well to ensure the oat mixture is thoroughly coated. Spread out evenly on the prepared baking tray and bake for 10 minutes, then shake the mixture and bake for a further 10 minutes. 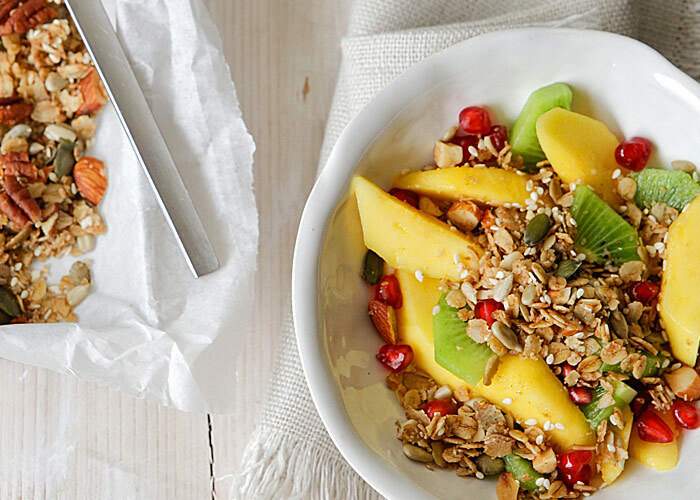 Leave to cool, then serve with almond milk and fresh fruit. Store in a sterilized glass jar, in a cool dry place, for up to 3 weeks. We are so good at being kind to others, doing good deeds and looking out for our friends and family, but we all struggle with showing love and compassion to ourselves. Try these 10 ways to show yourself some love. 1. Stop focusing on what you can’t do and start focusing on what you can do. Changing the direction of your attention in this way will certainly uplift your spirits. 2. Buy yourself a beautiful bunch of flowers, some delicious fruit, your favourite magazine… just because you deserve a treat. 3. Don’t worry about what people think – unsurprisingly, everyone else is pretty much taken up with themselves and is unlikely to be judging you. 5. Smile and spread those good vibrations. Yes, you can do this, and when you do you will attract new, positive, life affirming energy. 7. Talk nicely to yourself. Let your self-talk be encouraging and helpful. Abandon self-criticism for a day and see what a difference this makes to your mood. 8. Stop striving to be permanently confident. This is probably the most effective tip in the book. You will never stay unaffected by life’s ups and downs but know that you can always bounce back. 9. Give yourself time to make decisions, you don’t have to react immediately to the suggestions of others. 10. Be yourself. This means letting yourself be who you are and not who you think you ‘should’ be. Use your growing self-awareness to help you observe any unkind thoughts you have about yourself; any feelings of self-criticism that may arise, and any hurtful behaviours that you might inflict upon yourself. And when you notice any unhelpful patterns try not to berate yourself even more, but adopt the self-kindness habit instead. Simply ask yourself this question, ‘How could I be kinder to myself right now?’ and then follow your own good advice. £8.99 | Buy the book now! 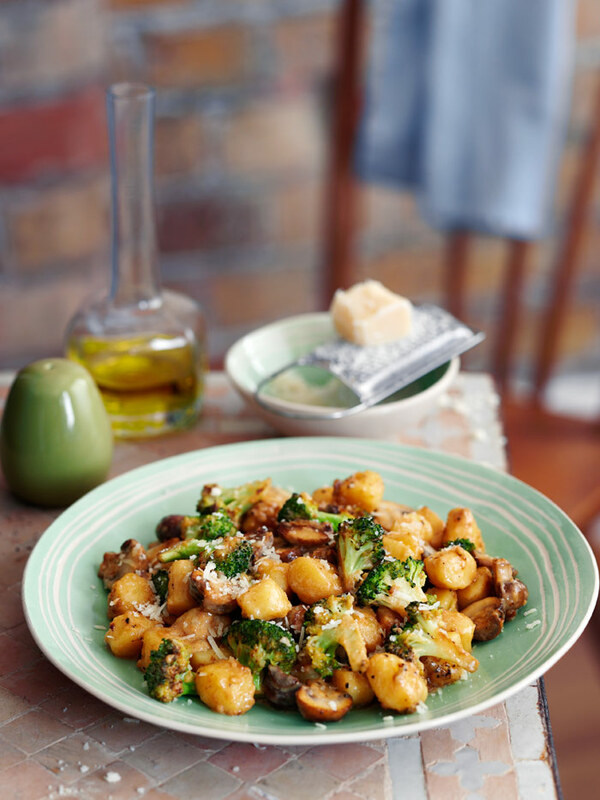 Having a packet of gnocchi in the fridge is a really good idea. It’s a nice alternative to pasta and pretty much goes with anything. I’m always trying out different combos with stuff that I find in my fridge. The recipe below has become a household favourite. Once you get the hang of this recipe, experiment with your own ideas – why not try swapping the broccoli for that leftover bag of spinach you always buy but rarely use. 1. Bring a pan of lightly salted water to the boil, add the gnocchi and return to the boil. Cook for 2 minutes, then drain well. 2. Heat the oil in a large saucepan over a medium heat, add the mushrooms, broccoli and garlic and cook for 5–6 minutes until they are tender. If they start to stick to the pan or to go brown, add a splash of water or white wine, if you have some open, to create a little steam. Add the cooked gnocchi and fry for 2 minutes, then add the cream and bring to a bubble. 3. Add the nutmeg, lemon juice and Parmesan, and season lightly with salt and pepper. Stir the ingredients together for a couple of minutes until well mixed. Serve hot. 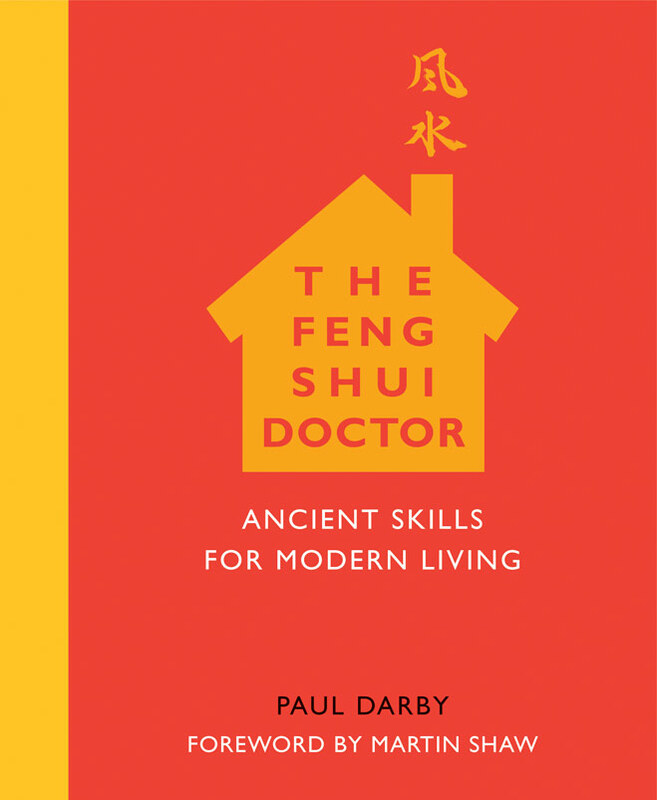 “Feng shui is the channelling and blending of chi, the subtle energy that flows through everything in the universe,” explains Paul Darby author of The Feng Shui Doctor. Try his 8 tips to bring harmony to your dining room. The words feng shui literally mean “wind” and “water”. They refer to the flowing motion of chi, the energy that exists throughout the universe. Feng shui, pronounced “fung schway” (or “fong choy”), involves assessing and adjusting the energies in each part of your environment – landscape, light, colour, spaces, objects – in order to enhance the flow of chi around and within you. Everything in your world affects you. 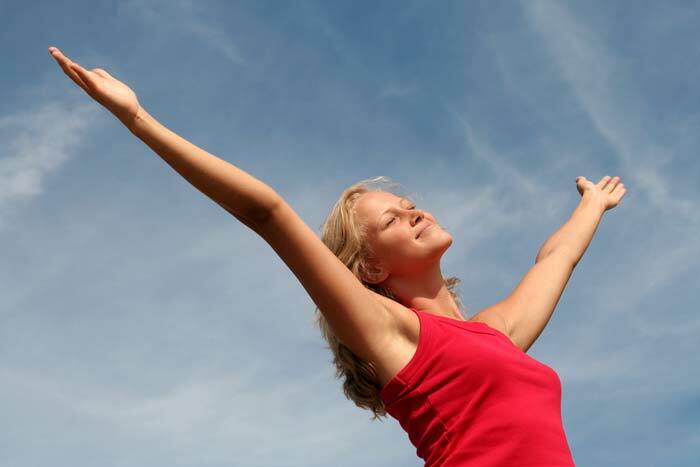 In turn, you act on the energies in your surroundings, and you can even change those energies consciously. Some people ask me if feng shui is just about moving furniture around, to which I reply flippantly, “No – that’s another ‘ancient mystical Chinese remedy’ called ‘the removal van’!” Feng shui is, however, very much about using well-thought-out arrangements of spaces and objects to produce a flow of natural energy that feels right. In traditional Chinese belief, feng shui was seen as one of five aspects of a good life. These aspects are usually given, in order of precedence, as: destiny, luck, feng shui, virtue and knowledge. Destiny (or karma) is the fate that awaits you in this lifetime as a result of your good or bad deeds in previous lives. Luck, or merit, is the good or bad fortune that you attract with your actions in this life. Feng shui is the way in which you interact with your physical and spiritual environment. Virtue and knowledge are the personal qualities that you can use to bring about your own success. In this way of thinking, you don’t have total control of your life, but you’re not a helpless pawn of fate either. You’re influenced by your inheritance and environment, but you can still build on your strengths and work on your weaknesses to improve your circumstances. By enabling you to understand and alter your surroundings, feng shui is one method that you can use to change your life for the better. Feng shui is a subtle and complex art. A skilled practitioner giving a full consultation will create a blend of energies that is uniquely suited to the client, the energy of their surroundings and the ways in which the client wants to change their life. However, the fundamental ideas and techniques are easy for anyone to learn. Just try the 8 steps below, and you’ll notice the positive change it has on one of the key living spaces in any home. 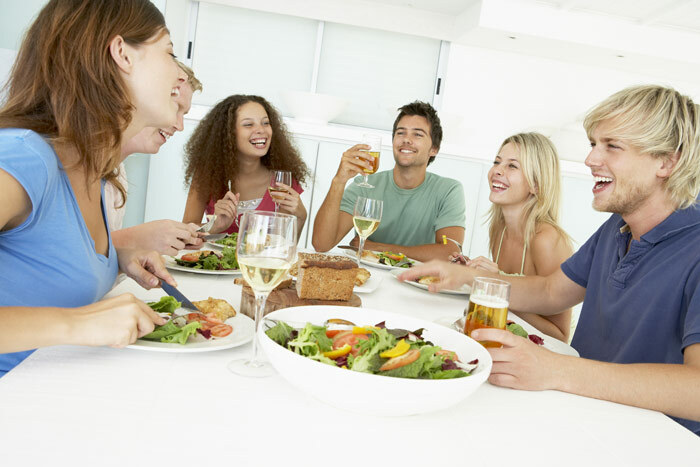 Your dining table should be large but fit comfortably in the room. 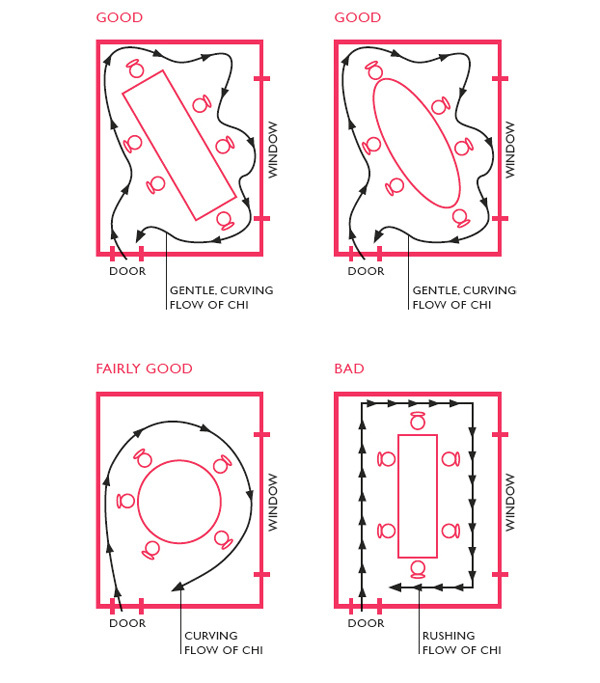 Oval or round shapes are best, but if your table is rectangular, you can balance it with rounded shapes such as rugs in the rest of the room. It’s best to place the table at the centre of the dining room and turn it at a slight angle in relation to the walls, so the chi will flow in a gentle, curving path around the room. If you put the table straight and parallel with the walls, the chi will be channelled in a straight line through the room or around the edges, and may get trapped in the corners. In feng shui, it’s good practice to seat the oldest family member or an important guest in the “honoured guest” position at the table. This is the seat furthest from the door, with solid walls behind it and offering a good view of the door and windows. 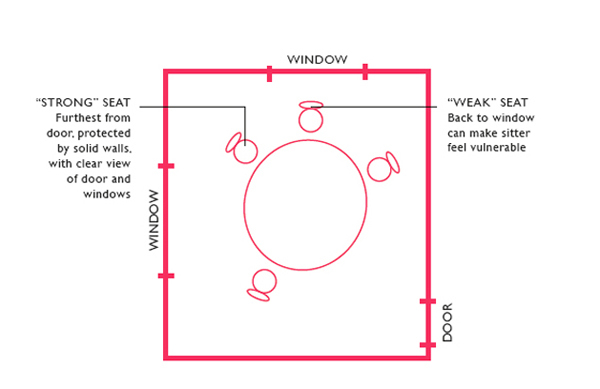 If possible, place all the seats so that no one has his or her back to a door or large window, because this “weak” position may leave that person feeling insecure. This problem is especially likely with round tables. In general, plain colours and simple shapes are best to promote the calming energy you need around the table. If you prefer a pattern, opt for one based on just one or two main colours. Vertical stripes are ideal because they symbolize uplifting energy. However, busy patterns splinter the chi. To get the most benefit from your tableware, keep items in good condition and discard any chipped plates, bowls or glasses. A rounded bowl filled with rounded fruit, in the centre of the table, is excellent feng shui; the more food you show, the more “richness of life” you possess. Many fruits have special significance: you could choose apples to boost friendship, pears for energy, peaches for health and oranges for richness. You can include other favourite fruits as well. Flowers are also a lovely decoration. Yellow ones are ideal to enhance communication. Silk, paper or plastic flowers are also fine. However, don’t use dried flowers because they represent decay and stagnation. The table and the area around it need to be “loaded with luck” (chuang ho hsing yun). To nurture goodness in the chi, have a few large, soft-leaved plants near the table if they suit the pa kua location. Pictures that give you feelings of pleasure and abundance will also help; good subjects include bright flowers, rounded fruit and sunny landscapes. Keep electrical items, including TVs and stereos, out of the dining room; their energy is too yang. In addition, remove any clocks, because they are unwelcome reminders of the passing of time. A dining room should be “eternal” (yung yuan te). The chi in a dining room needs to be more yin than yang, to help create a pleasant, relaxing feel. To stimulate yin chi, base the decor on pastel or neutral colours. For large areas such as walls, single colours are best. You can always use ornaments and pictures, or a display area with items that suit the pa kua location, to add splashes of brighter colours. Try to avoid having highly patterned wallpaper, which can splinter the chi. If you already have this problem, remedy it by putting up abstract pictures in strong, plain colours appropriate for the pa kua location. Lighting needs to be soft and calming. Wall-mounted lights equipped with dimmer switches are a good idea, because you can alter the lighting levels to suit your mood or a special occasion. A mirror will also soften the light. Choose one with a suitable frame for that sector, or with bevelled edges. A large mirror reflecting the dining table and showing food such as a bowl of fruit will double “life wealth”. However, a mirror should never reflect a kitchen or bathroom or it will double bad energy from these areas. Clean, flowing water symbolizes luck, energy, health and “richness of life”. A small water feature or aquarium will benefit most locations. Alternatively, you could have one or two water symbols, such as shells, or a picture of flowing water. However, don’t use water items in the northeast, south or southwest; they clash with the chi of these sectors. Goldfish signify luck, and are ideal for an aquarium. Three or nine are the most beneficial numbers; include one black fish to represent protection. If you like tropical fish, have golden platys and a black mollie. £5.99 | Order e-book now! Creme brulee, burnt cream, Trinity cream… this classic dessert has had many names but remains a deliciously elegant way to finish a meal. In Emma Macdonald’s recipe, the sweet creamy custard is matched with the tart flavour of rhubarb, and it;s best made a day in advance (which means you don’t have to rush after the main course). 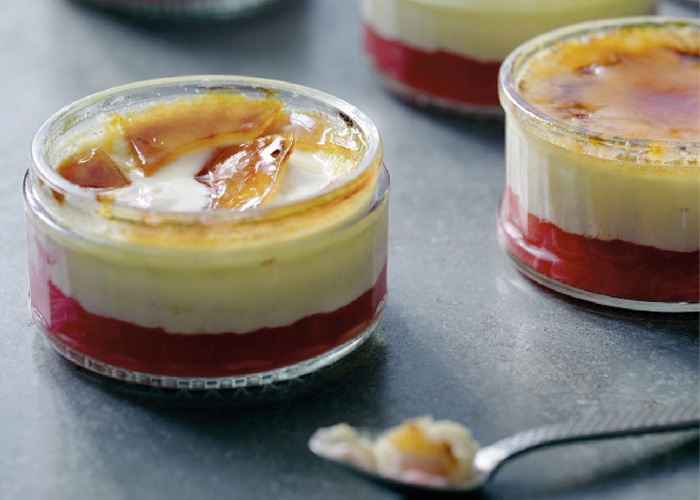 Who could possibly turn down rhubarb and custard? 1. Preheat the oven to 170°C/325°F/Gas 3. First make the rhubarb compôte. Mix the rhubarb, sugar and orange juice in a non-metallic pan. Bring to the boil, stirring to dissolve the sugar, then turn the heat down and simmer for 10–12 minutes until the rhubarb is tender and has broken down. Leave to cool. 2. Heat the cream in a pan with the vanilla pod until it almost comes to the boil. 4. Spoon the rhubarb into four 170ml/5½fl oz/⅔ cup ramekins. Pour the custard over the top until almost to the top of the ramekins. Put the ramekins in a roasting tin and pour in enough just-boiled water to come halfway up the sides. Bake for 20–25 minutes or until the top of the custard is just set. Remove from the oven and leave to cool. Cover with cling film and chill overnight (or a minimum of 2 hours, if you can’t wait). 5. Preheat the grill to high. Sprinkle a thin layer of caster sugar over each custard and place under the hot grill until the sugar bubbles and starts to caramelize. You can use a blowtorch but take care either way as the sugar can easily burn. Leave the sugar to harden and cool slightly, then serve your creme brulee immediately. £20 | Buy the book now! Think of the countless times you have tried to create your own space, physically or metaphorically, in your life – just a tiny little area that is yours. Was it your first tree house or the fort under your bed? Later a chair in your shared bedroom? Eventually, if you were really lucky, your space grew up into a sewing room or your very own office? Or maybe it is just a space in your head, a moment of awareness. What makes this room your own, and why do you seek it your whole life? There is magic in these spaces and that magic defines a room as “yours.” When you shut the doors, real or imagined, to your room, another door within the room opens and there is a glimpse into infinity that reminds you that no matter what you were when you entered this space, within this space you are endless potential. In this room of yours, you are safe, and what is conceived in this space is born of the confidence and self-knowledge safety allows. In this room, risk is magically morphed into adventure. In this room, the mirrors show one perfect face, one perfect body, because they hold your image not in glass but in the reflection of self-respect. Very selectively you might invite someone else into this space… a child curled in your lap for a minute or a spouse offering a cup of tea. They leave a little discombobulated. “That was nice,” they think to themselves as they wander off, not quite sure where they have been but knowing it felt good. What if your 50th birthday is the doorway into this room? What if, from that day on, you live in your room, a room of your own, a room called you. No more stolen moments – this space is this season of your life. 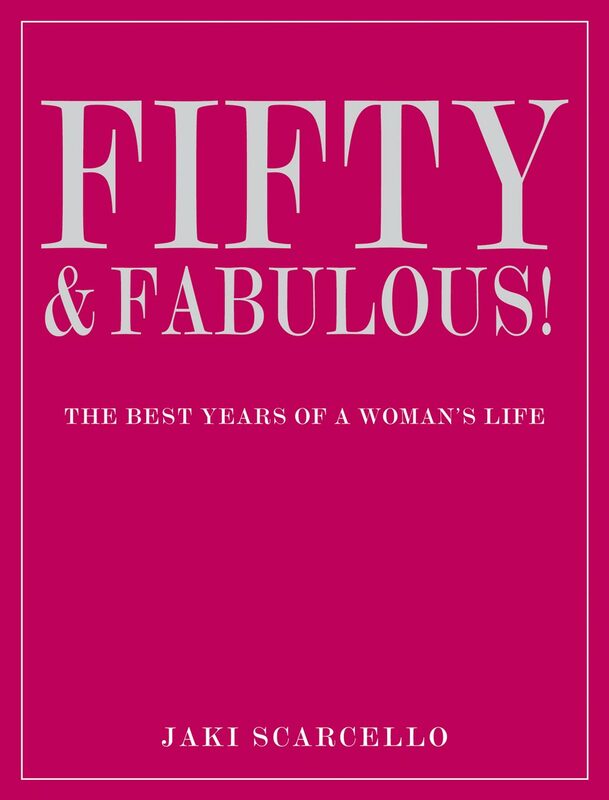 In Fifty & Fabulous, Jaki Scarcello reveals how changing our attitude toward ageing can spark a ‘virtuous cycle’ of rejuvenation and renewal. Women who know this embrace the years after 50 with a spirit of optimism and energy that is truly liberating. They understand that in maturity a woman has the potential for genuine elegance, a beauty more than skin-deep that sparkles confidently and generously from the eyes, and a whole new brand of personal sexiness. On a deeper level, they possess a secret power and joy that radiate outward into the world and illuminate everyone around them. The word ratatouille comes from touiller, which means ‘to stir round or mix’, and the recipe originates from Nice in the South of France. “For me, this dish not only represents but also encompasses the splendour of the South: full of sunshine, colour and the scent of the Mediterranean,” says Michelin-starred chef Daniel Galmiche. 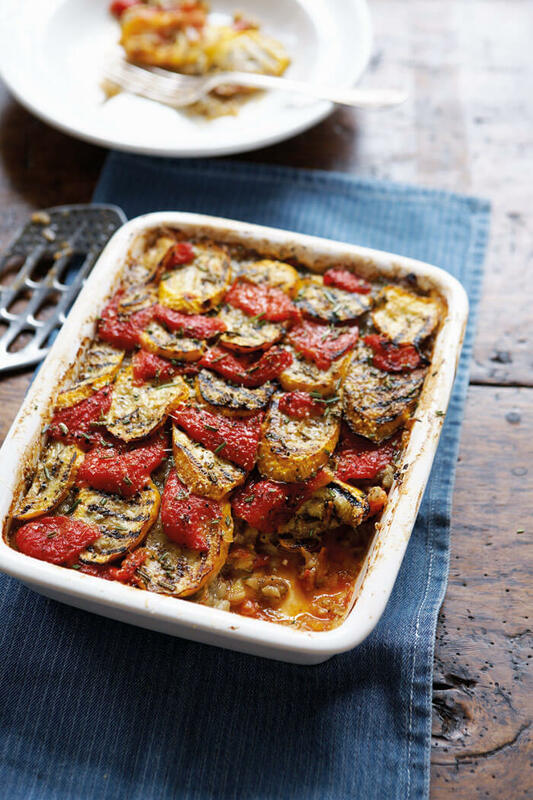 Chef’s Tip: A lovely way to use up any leftover ratatouille is to mix it with rice and then stuff tomatoes, which you have deseeded, and bake them in the oven at 180°C/350°F/gas 4 for 25–30 minutes. 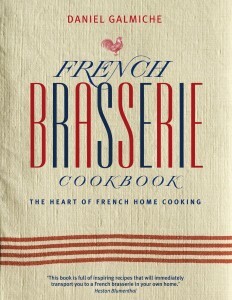 Or for a quick snack, top pieces of toasted baguette or a rustic loaf, such as pain de campagne, with cold ratatouille. Delicious. 1. In a large cast iron pan, heat the oil over a medium heat. Add the aubergine and cook for 4–5 minutes until softened but not coloured. Add the onion, garlic and peppers and cook for 2–3 minutes, stirring occasionally, then stir in the courgette, tomatoes and sugar. Add the bouquet garni and simmer gently, partially covered, over a low to medium heat, for 1½-2 hours, stirring occasionally. If, when you take the lid off the ratatouille, it is too wet due to condensation, continue cooking it gently with the lid off, until you get the texture and consistency you want. 2. When ready, check the seasoning and add some salt and pepper, if necessary. Sprinkle with basil and serve with rice or pasta. In his book French Brasserie Cookbook, top chef Daniel Galmiche brings you a superb collection of 100 classic brasserie recipes with a modern Mediterranean twist. Daniel gives us irresistible recipes for starters, mains, side dishes and desserts – all based on the classic principles that characterise brasserie cooking: regional recipes, local ingredients and homely, comforting flavours. Order your copy now, or buy a digital version! What is Ayurveda and how can it help weight loss? 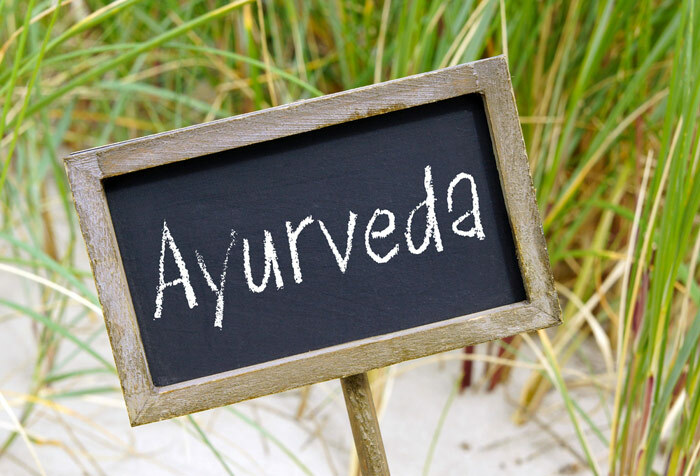 Have you seen the term Ayurveda and wondered exactly what it means? Amanda Hamilton, author of The Eat, Fast, Slim Diet explains. “The Hindu system of traditional medicine, Ayurveda, has been popular in India for 2,500 years. Ayurveda teaches that light fasting stimulates the digestive fire (agni in Sanskrit), which in turn burns your body’s fuel more efficiently, producing less toxic waste (ama). In Ayurvedic medicine, a fast is considered an effective way to cleanse accumulated toxins from the body and mind, improve clarity and increase energy. If you were to try an Ayurvedic-style fast, you would fast once a week using salt-free liquids, such as fresh vegetable juice, water, yogurt mixed with water and cumin powder, or milk boiled with spices such as ginger. Similar to the practice in juice-fasting retreats in spas all over Europe and the USA, Ayurvedic fasting is often combined with a detoxification programme (panchakarma) where supportive therapies are customized for an individual’s constitution, age, physical health, immune status and a host of other factors. Even though juice fasting retreats and body builders may claim the science of fasting as their own, they owe much to Ayurveda and, more recently, the fields of natural hygiene, nature cure and naturopathy, all of which use fasting as a core treatment in healing. These healing traditions, ancient and modern, have one thing in common – they support the body to heal itself, rather than turning to medicines or to invasive treatment to treat illness or create positive change. In Germany, fasting is even referred to as “awakening the physician within”. Indeed, there’s a wealth of historic and emerging research that I draw on in The Eat, Fast, Slim Diet to illustrate the value and efficacy of fasting as a therapeutic and valuable medical intervention. Learning to work with this natural approach can take just as long as learning a conventional medical approach. For example, in India, training to become an Ayurvedic doctor takes five years of study – as long as it takes to become a medical doctor in the UK – and, in the USA, naturopaths are now able to qualify to doctorate level. https://nourishbooks.com/wp-content/uploads/2014/03/ayurveda.jpg 300 344 Victoria Lagodinsky https://nourishbooks.com/wp-content/uploads/2018/04/NourishLogo340x156-300x138-300x138.png Victoria Lagodinsky2014-03-21 00:00:182015-09-17 16:32:48What is Ayurveda and how can it help weight loss? What are your hand gestures saying about you? Without realising it, your hands may be sending nonverbal signals that undermine your words. You may sound confident but if you constantly twiddle your hair, or fiddle with your jewellery or clothing, you will appear nervous and unsure. If your fingers are tightly laced together, you will appear tense, in spite of your attempts to sound relaxed and at ease. Habits such as drumming the table with your fingertips or swinging a leg to and fro as you speak suggest you are feeling stressed. Over-expansive hand gestures can be distracting. If you compulsively mime every word you speak, drawing in the air to show what you mean by ‘ticket’, ‘book’ or ‘list’ and making huge circles to indicate concepts such a ‘big’ or ‘a lot’, you make it harder for your listener to take in what you are saying. However, if you use your hands effectively, they can support your words and help you appear more confident and assertive. When you are communicating a decision or making a definitive statement, a gesture such as one where you bring your parallel hands down sharply, in a kind of chopping style, emphasises your resolve. Keep your palms open as much as possible, particularly when you want to convince someone of your sincerity. Traditionally, this gesture is associated with openness and honesty as it shows you are not carrying a weapon and do not present a threat. Extending your hands with the palms up is an inclusive gesture that indicates your willingness to listen and cooperate. You probably do this instinctively in certain situations, but when we feel nervous or under pressure, we are likely to clench our fists or lace our fingers together in a tight knot. Relax your fingers and keep them spread out. Palms down is a helpful gesture in some circumstances. If you want to come across really strongly, hold your hands just above waist height, with the palms down. This gesture might accompany a strong order or request to do something, just do it, please. You might depress your hands as you speak for added emphasis. If, on the other hand, your words are suggesting harmony, you can underline this feeling by putting your hands in front of you at waist height and spreading them out, palms down, in a movement that suggests soothing and smoothing. This gesture might accompany a reassuring statement such as ‘I think that together we can sort this out’. You will give the impression of calm, unruffled control. Say it with the chopping gesture. How do you sound? Is anyone going to argue? You are having the final word, girl, and you are giving it without shouting or pleading, in a nicely authoritative way. Now say it with the smoothing gesture. How do you sound? Much softer, probably. Much more gentle and conciliatory. Much more bringing people on board. You choose – just make your gestures match your words and the message you are conveying. 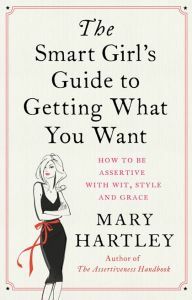 And you can find many more practical exercises and examples from Mary in The Smart Girl’s Guide to Getting What You Want. 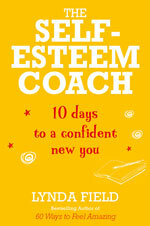 Mary is a writer and personal development coach who leads workshops and training courses. Packed with humour, it is a book you will want to treasure and turn to time and time again. £7.99 | Order the book now! https://nourishbooks.com/wp-content/uploads/2014/03/hand-gestures.jpg 300 344 Victoria Lagodinsky https://nourishbooks.com/wp-content/uploads/2018/04/NourishLogo340x156-300x138-300x138.png Victoria Lagodinsky2014-03-20 00:00:362015-09-17 16:44:13What are your hand gestures saying about you?